With so many winter Olympians calling Steamboat Springs their home, we thought it would be fun to outline when and where to see our local athletes. 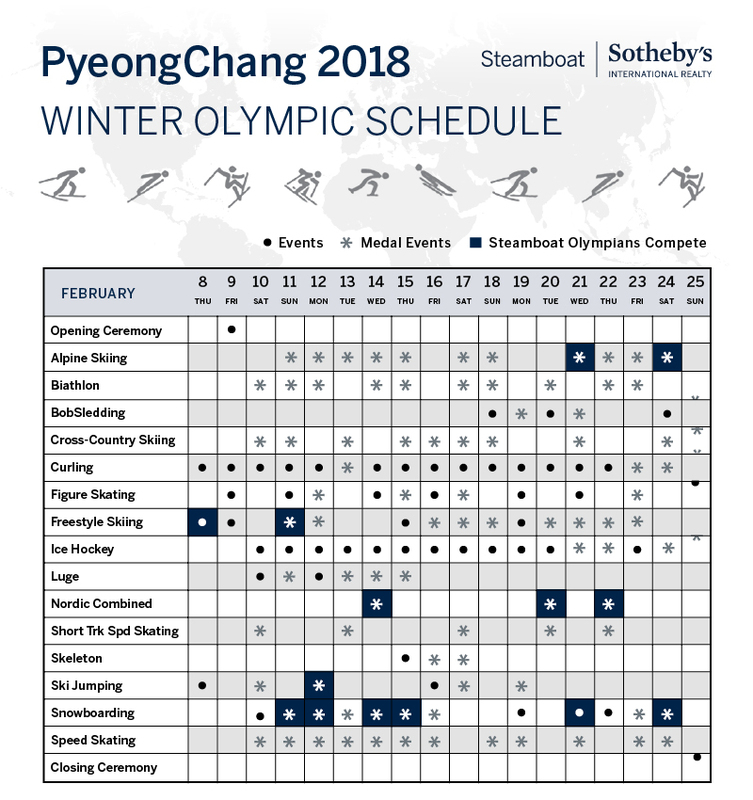 Take a look at the 2018 Olympic schedule of events with special notes showing what events you can see Steamboat athletes competing. Go Team USA!